"The concept of Innocent Coffee is initiated by making fresh and tasteful things in the forms of coffee, pastry and artistic objects." Update: Innocent Coffee has closed but are now operating as The Taste and See Shop at 129-1628 West 1st Avenue (Alley off of Fir Street), Vancouver. 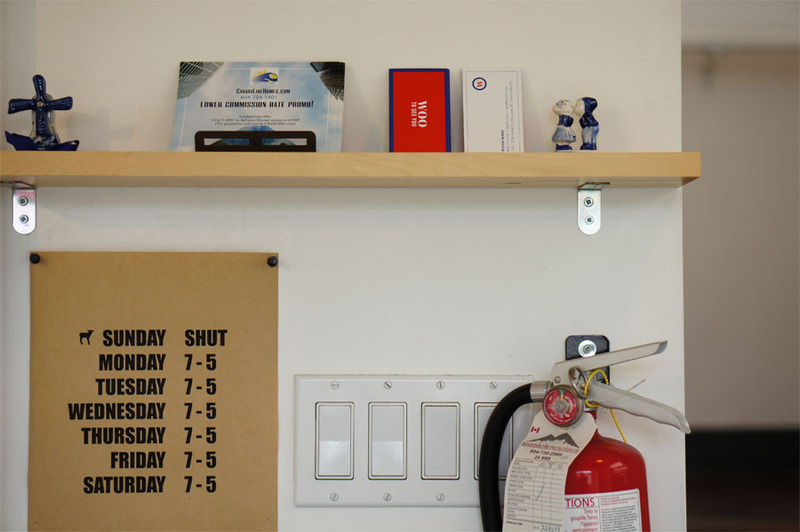 Located just off the Hemlock approach to the Granville Street Bridge, Innocent Coffee serves up coffee from their 757 square feet outpost in a small shopping plaza. The cafe is a relaxed space with white walls and brown hardwood floors accented by posters, ceramics and paintings created by one of the co-owners. There is additional seating on the second floor which is known as "The Upper Room" that is also used to host art exhibitions and other special events. There is also a collection of arts and design magazines if you need some reading material to go along with your coffee. The coffee menu at Innocent Coffee regularly rotates between beans from Origins Organic Coffee and Bows & Arrows Coffee Roasters. Their brewed coffee is available with Hario pour over and French press coffee, while espresso drinks are made on their La Marzocco machine. 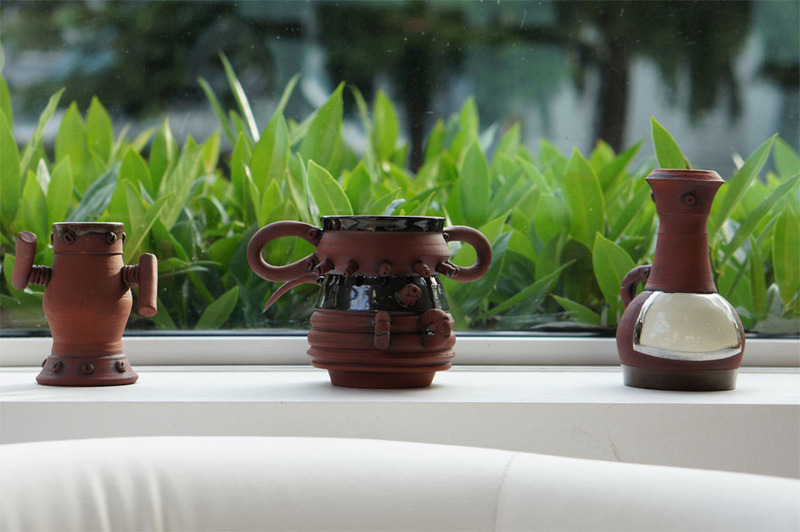 While primarily focused on coffee, they also have a selection of loose leaf teas available. Innocent Coffee makes all their baked goods in house which usually includes a selection of shortbread cookies, croissants and other pastries. The Fairview neighbourhood of Vancouver started as a residential neighbourhood developed by Canadian Pacific Railway as the "Fairview Slopes" part of the almost 25,000 acres of land the company received for extending their rail line to the city. 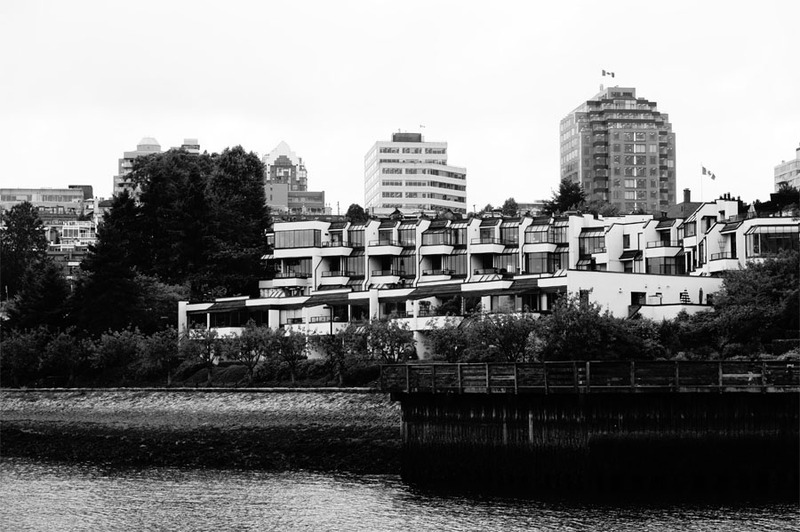 With lumber yards and industrial buildings near the waterfront, the hills above False Creek were mostly filled with residential houses. Starting in the 1970s along with the redevelopment of Granville Island, the area around False Creek was redeveloped by new townhouse developments. One notable heritage building that is still standing is the Fairview House at 1151 West 8th Avenue built in 1892. 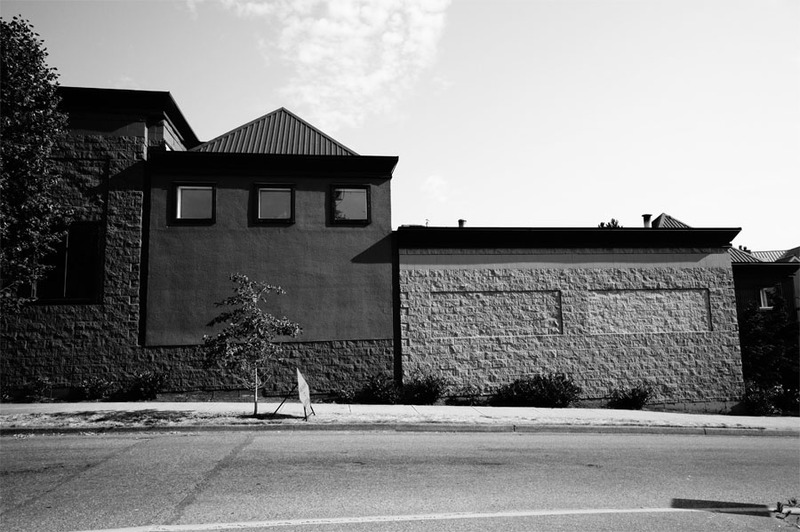 The Hemlock Station shopping plaza sits on the old location of the Athletic Park which was built in 1913 on leased land from the Canadian Pacific Railway for a 6,000 seat baseball stadium. 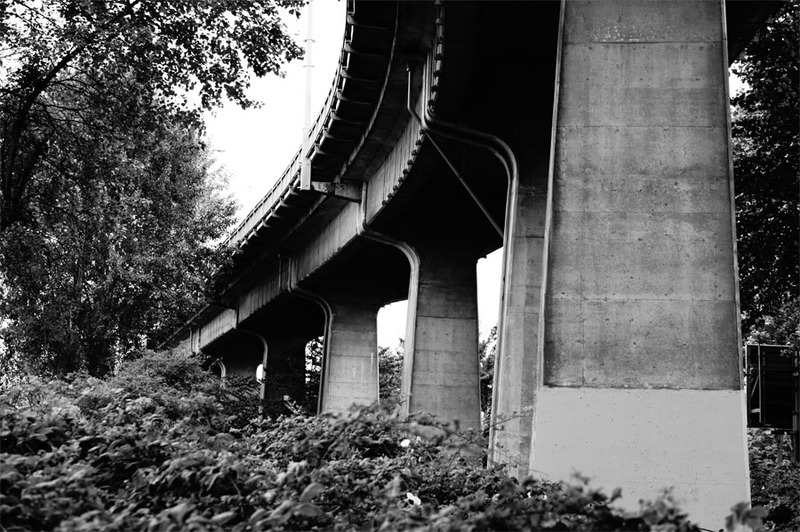 The site of the stadium and surrounding land was purchased by the city to make the approach to the new Granville Street bridge built in 1954. The plaza which previously consisted of some auto repair shops was redeveloped in 2010 adding more retail and office space. "This particular muscovado sugar is made with sugarcane planted and grown in Taiwan. It’s rich nutritional content and strong molasses flavour make it the signature sugar at Innocent Coffee. We use it in baking and in coffee & tea beverages." Located a few blocks from the cafe is Choklit Park at West 7th Avenue and Spruce Street. The park built in 1970 was located next to the Purdy's Chocolate factory until it moved in 1982. It was part of a plan to address a problem with getting delivery trucks into the Purdy's warehouse while also providing a new park for the neighbourhood. Another prominent business in the area was Pacific Press at 2250 Granville Street which had their printing presses and offices for The Vancouver Sun and The Province from 1965-1997. The site is now home to the Portico residential development. One of Innocent Coffee's bean suppliers is located nearby on Granville Island. 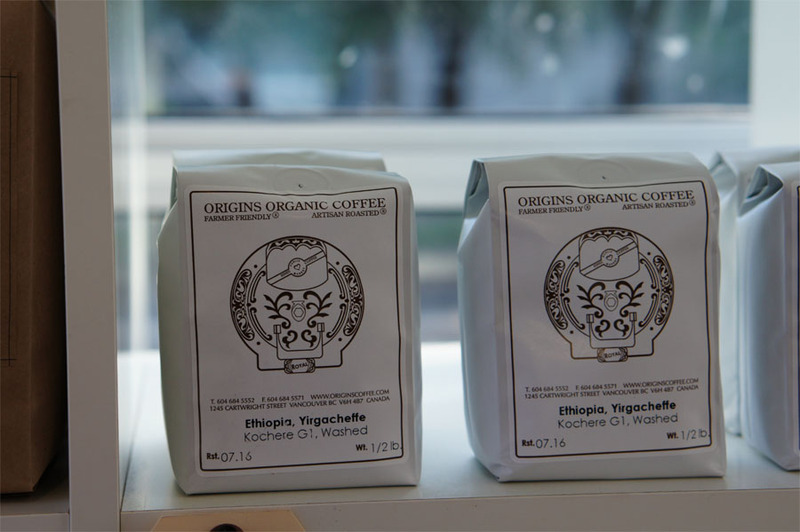 Origins Organic Coffee was started in 1999 and later purchased by John Sanders and his partners in 2004. Sanders previously ran Hines Public Market Coffee in Seattle with John Hornall until that closed in 2005. 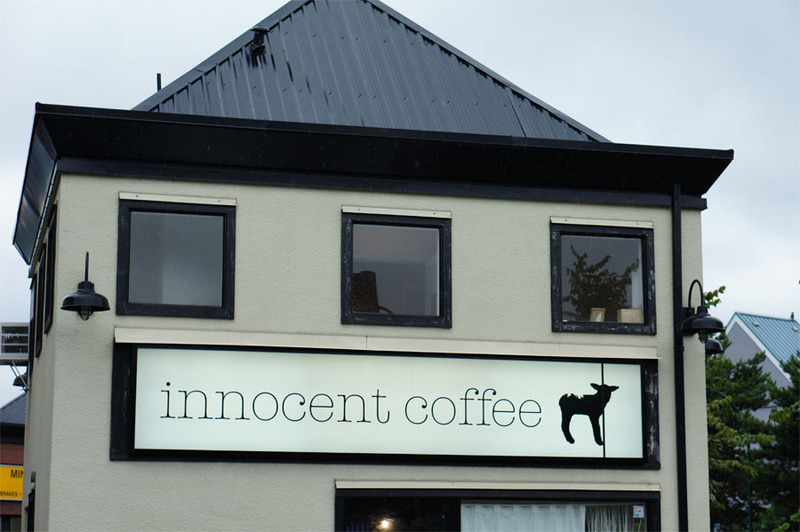 Innocent's other coffee supplier Bows & Arrows Coffee Roaster in Victoria was co-founded by a long time employee of Origins, Drew Johnson, who went on to open his own roastery. Innocent Coffee's business cards are printed by Black Stone Press which has their shop in the same building as Origins on Granville Island. With limited space for a commercial dishwasher, Innocent Coffee is only allowed to serve disposable cups and cutlery due to health bylaws. 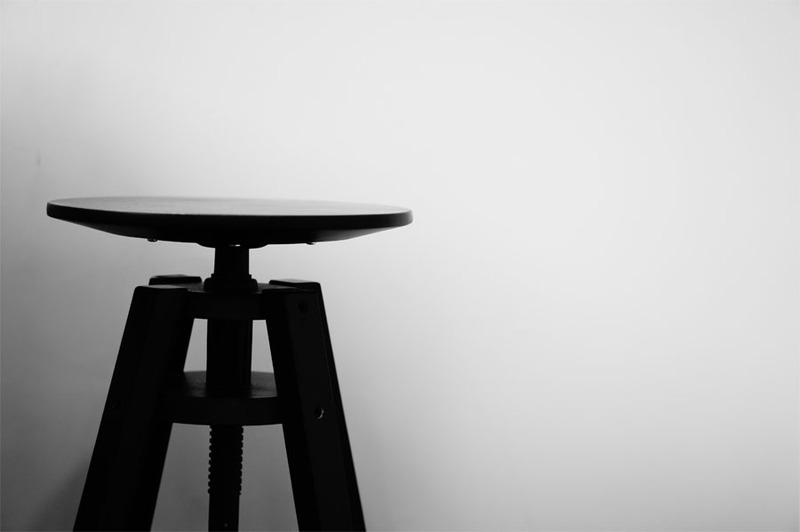 "Innocent Coffee is a hyper-designed cube of coffee-worship. It is perhaps one of the most carefully planned cafes, or restaurants or bars for that matter, in Vancouver and we were immediately curious about it. "